As temperatures rise, we start to crave time spent in the backyard. If you're lucky enough to live somewhere with pleasant summer nights, your back patio might be as crucial as your family or dining rooms. It's such a luxury to have another space to gather with family and friends! While you're at it, our rugs are 20% off at McGee & Co. right now! Your outdoor patio definitely needs an indoor/outdoor rug. They're all durable for high-traffic areas, easily cleaned, and can be used again and again. Sasha Alexander's patio is convincing enough. We can't get enough of the Spanish architectural details and the bright and airy feel that's created. 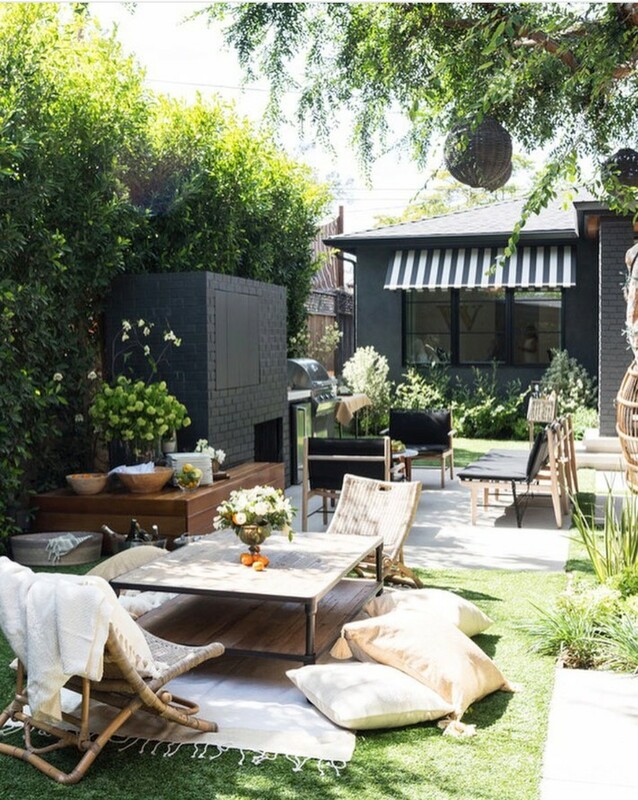 We put together our own version of this backyard as well as more spaces for inspiration! If you're going for a modern, neutral outdoor space we've put together an inspiration post here. Now we'll just be sitting back and waiting for summer vacation.